So, kind of a weird trip here. Jill had to attend an HC Pro bootcamp in Pittsburgh (Canonsburg), Pennsylvania, but with my work schedule I wasn't able to 'catch up' with her until Wednesday. I flew from Scranton to Philly, and then from Philly to Pittsburgh, arriving in P-burgh just before dinner on Wednesday night. We left the airport and grabbed dinner at Joe's Crab Shack on Robinson Center Drive in Pittsburgh. Afterwards, we went to the The Meadows racetrack and casino in Washington (Pennsylvania) and lost some money before heading back to the hotel. This trip, we stayed at the Hilton Garden Inn Pittsburgh/Southpointe, which was actually located in Canonsburg, PA. It was pretty much the same as any other HGI that we've stayed at, nothing special, but adequate. On Thursday, Jill had to attend the bootcamp, so I headed into Pittsburgh. Took a tour of PNC Park, drove by the Forbes Field outfield wall (all that remains of that classic old park), and the headed back to Canonsburg where I had lunch at Jay's Sports Bar and Restaurant, attached to the Iceoplex at Southpointe. 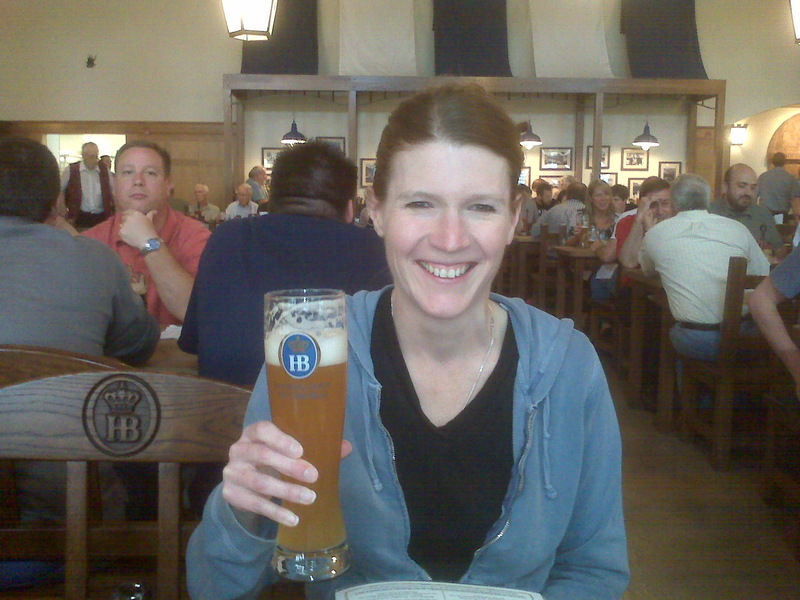 Hung out at the hotel until Jill was done with class, and then we headed to the Hofbrauhaus! Jill and I are doing a pretty good job of going to every one of these in the US, with only one or two left after this one. 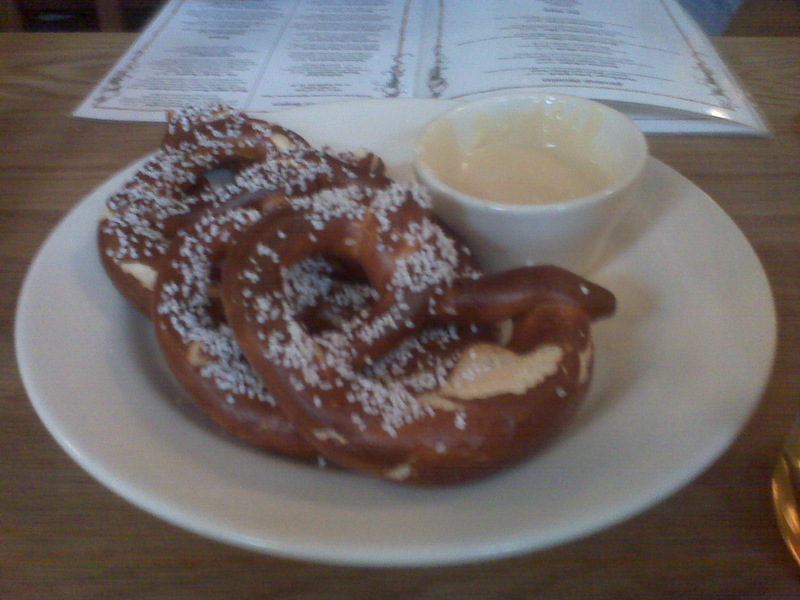 We had the pretzels with beer cheese for an appetizer, then Jill had the Heidelberger Rahm Sp�tzle, and I had the Sauerbraten. 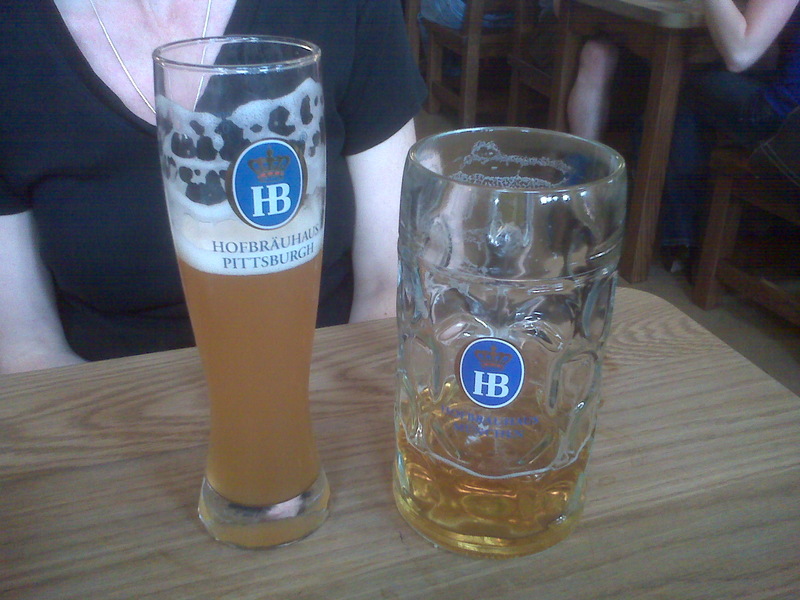 We washed it all down with a litre of Hofbr�u Hefe Weizen (for Jill) and a litre of Hofbr�u Premium Lager for me. Yum!! After dinner, we walked around some of the shops in the area surrounding the Hofbrauhaus, drove by the (blech!) Mellon Arena, and then headed for Canonsburg. We stopped at Jay's Sports Bar and Restaurant for a nightcap, then back to the hotel. On Friday, Jill had a partial day of class, so I headed out to do some exploring. I drove down to Washington in search of the stadium that the Washington Wild Things play at. 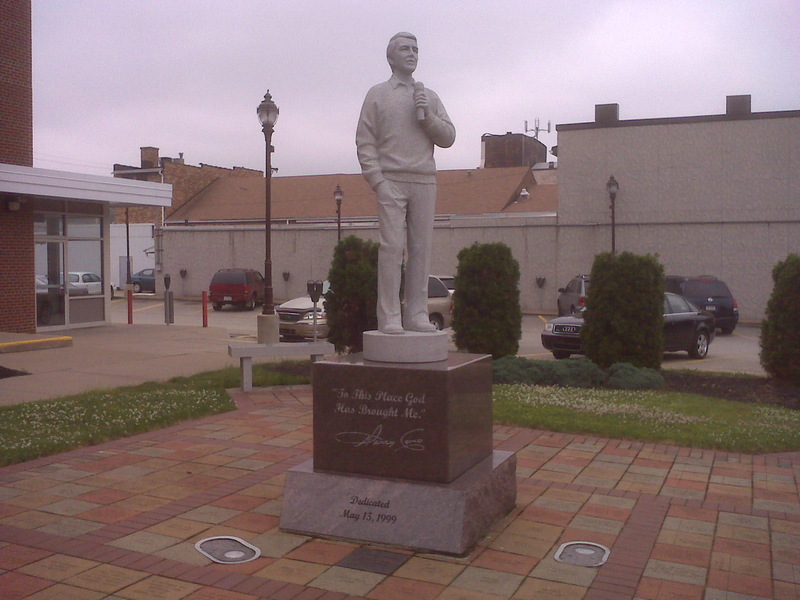 I found it, only snapped one picture before the batteries in the camera died, and then headed back to Canonsburg. I made a quick detour to Sarris Candies, where I bought Mike a mini chocolate Stanley Cup, and Jill a couple of S'mores. Jill finished up her class, and we took off out of 'Penguins Land' (blech blech!!). In Altoona, we stopped at 'El Campesino Mexican Restaurant' for dinner (very good food! ), walked around the Blair County Ballpark (a must for a return trip), and then drove on to State College where we found the State College Spikes stadium and filled the car up with some gas. We had to stop in Wilkes-Barre to grab my jeep from the airport (and stopped at the Dairy Queen Chill and Grill for dessert), and finally arrived at home around 10:30. First leg of the outbound flight was aboard US Airways flight 3922, AVP-->PHL; depart 12:46PM, arrive 1:29PM; seat 7C. Second leg of the outbound flight was aboard US Airways flight 1893, PHL-->PIT; depart 3:34PM, arrive 4:45PM; seat 23D.